The AnimeJapan stage event for the previously announced Granbelm TV anime announced additional cast members. 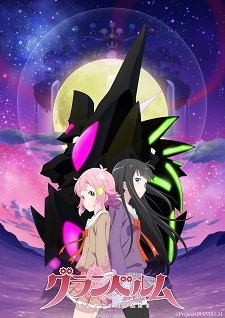 A preview featuring the ending theme song "Negai" by Uru was also released. The anime is slated for this summer via Anime-ism timeslot on MBS, TBS, and BS-TBS. @Tsubasa You should had OP ED Tag, as they preview Uru's theme song in the PV. Is this a yuri mecha? Or is it all just subtext bait? Looks cute, gonna try it.